TORONTO, Sept. 24, 2017 – I’m sure that as Chartered Professional Accountants we are all distracted, watching how the federal government’s tax proposals will unfold. However, in the meantime, we are getting uncomfortably close to the effective date for the new Canadian Standard on Review Engagements, CSRE 2400. Fiscal periods ending on or after December 14, 2017, which for those of us not involved in the intricacies of the standards setting process, is the December 31, 2017 fiscal year-ends. These first engagements will be in the office right in the midst of most firms’ busy session. For many, the more we can accomplish over the next few months, the better off we will be. Check with your third party provider for availability of the new engagement forms. If you are with Jazzit or Keystone Templates … congratulations, the forms are ready and available. If you are with Caseware … sorry, we are still waiting for the release. Set up the new Caseware file. Somewhere in your office you have a very important manual called the quality control manual. This document includes all the quality control procedures that your firm has integrated into its processes to ensure assurance engagements are completed in accordance with CSQC1. There are engagement acceptance procedures, EQCR assessment requirements and engagement performance requirements to be integrated. Don’t forget about the requirements under your provincial CPA Code of Professional Conduct. To get you started, consider the firm’s integration of safeguards for identified independence threats, the procedures required to identify potential conflicts of interest, and resources for communicating with the predecessor on new engagements. There are a significant number of resources to use or develop to provide those other incidental services that go along with the assurance engagement. 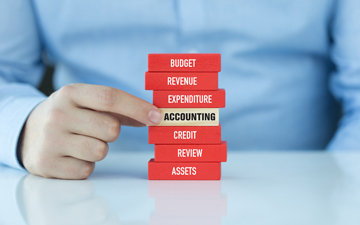 Tax compliance, tax planning and financial statement preparation will have you integrating software, subscriptions, firm template memorandums, working papers and sample note disclosures, just to name a few. Practice risk management will have you considering whether lunch with your lawyer is overdue. All client correspondence, such as the engagement letter, will need to be updated so now is just as good a time as any to get an update on legal liability and other risk mitigation issues. Reconsider your engagement workflow and any other inefficiencies that have been on the administrative to-do list for too long. Reach out to those clients and third parties you have yet to talk to and schedule the administrative time necessary for training, file transition and engagement preparation. You are now a bit closer to transition and implementation. And the more you accomplish over the next few months, the smoother your transition will go. If you need some further inspiration to get started, visit Resources at Clearline Consulting to download guidance on training, implementation and file transition for the new review engagement standard.